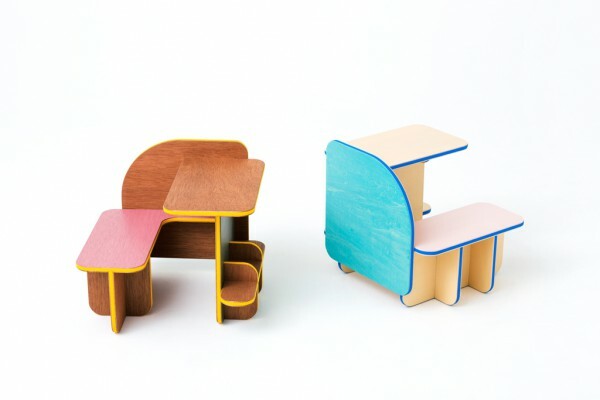 We designed a piece of furniture with multiple resting positions that can be used by young children up until they reach adulthood by rolling it over like a dice. 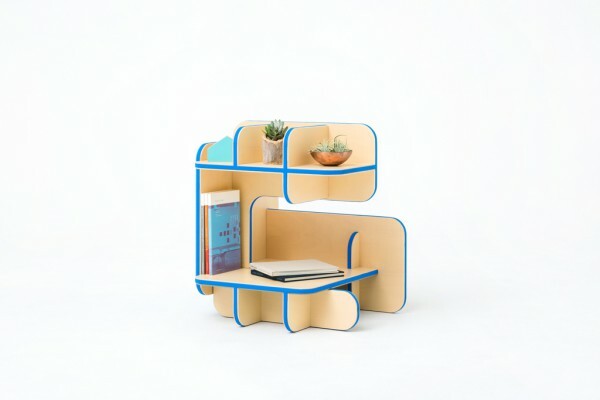 This multi-purpose piece of furniture can be used in three different ways depending on which side it is rested. 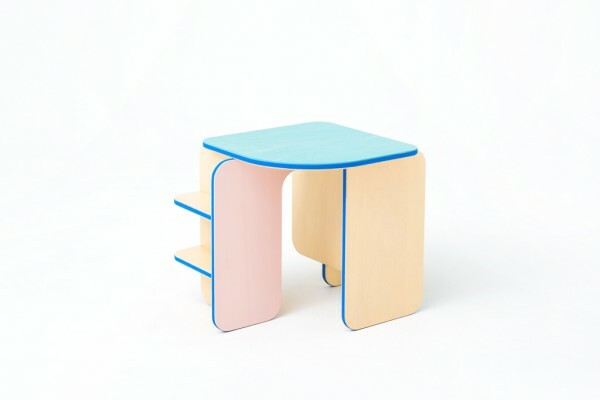 For example, in "desk for young children" mode, dice becomes a desk with a built-in chair that offers an intimate space like that of a small room. 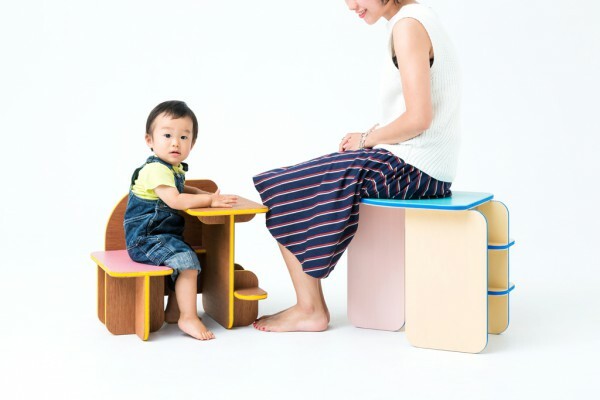 By turning it over to the side with the wide fan-shaped surface facing upwards, dice becomes a "stool" on which an adult can sit. 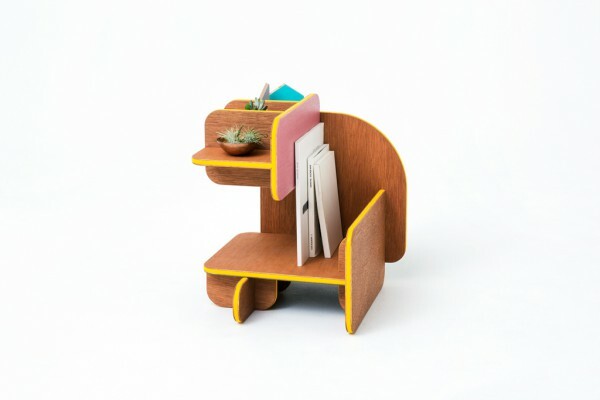 Moreover, by turning it over once more, dice becomes a "side shelf" with a top shelf to place objects and a bottom shelf to hold books and magazines. Characterized by rounded shapes, dice possesses both easily adaptable functionality and a cute appearance fostering a feeling of gentleness. With every transformation, what at one moment were top or sitting surfaces come to fulfill in turn a functional or a structural role the next moment. 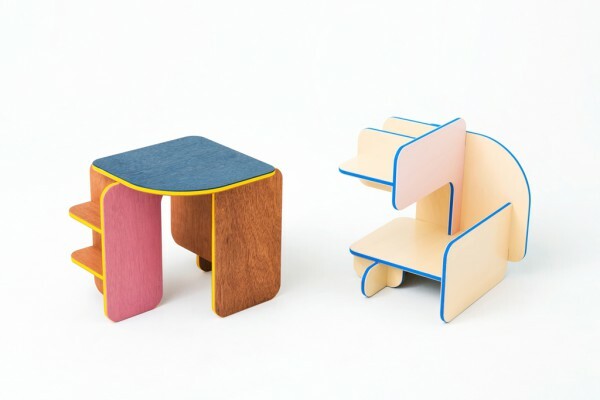 With different colors applied on each of these surfaces, dice presents changing expressions depending on its use at the moment while the edge of the furniture clad in protective rubber provides streaks of colored accents. 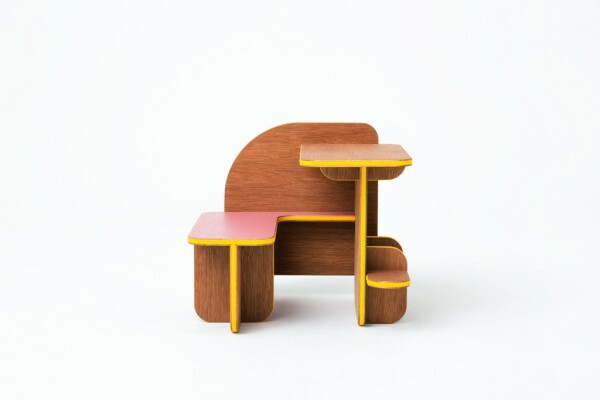 By avoiding the constraints imposed by single-purpose furniture, we created a multi-purpose piece of furniture that can be used as a companion evolving with us through life so that we can continue using with nostalgia our childhood furniture even after we become adults.